I found this wish left over from an art project created about a year ago. I had liked the little word too much to throw the paper away. Thinking it could be the treasured piece of another project at some point, I kept it. The wish had found its way to a box of other potentially wonderful things. I planned to look through this box when I needed inspiration. 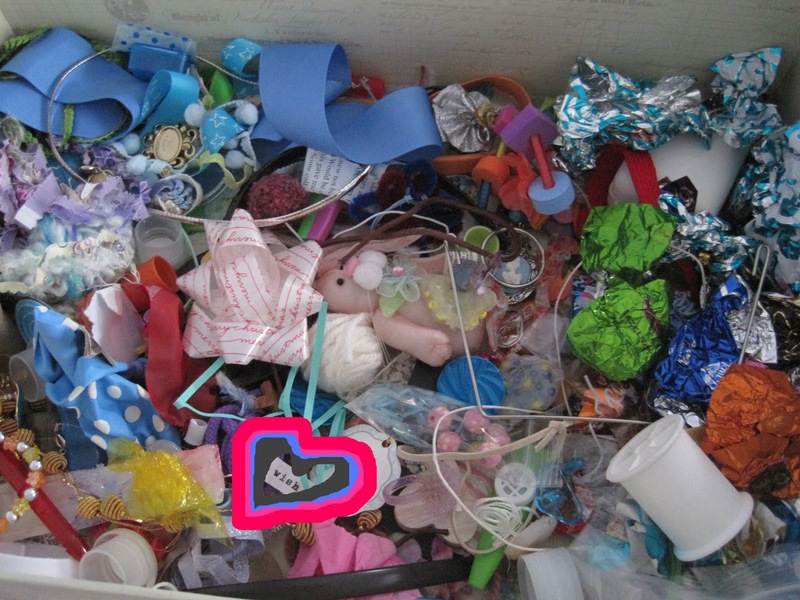 Filled with shiny candy wrappers, polka-dotted bits of ribbons, and discarded costume jewelry from my grandmother, the box overflowed, crowded and messy. The inspiring items downgraded to clutter. Then, I got a new box. This box had more room. I rediscovered little joys in moving things from the old box into the new one. In doing so, the little paper wish showed itself again. 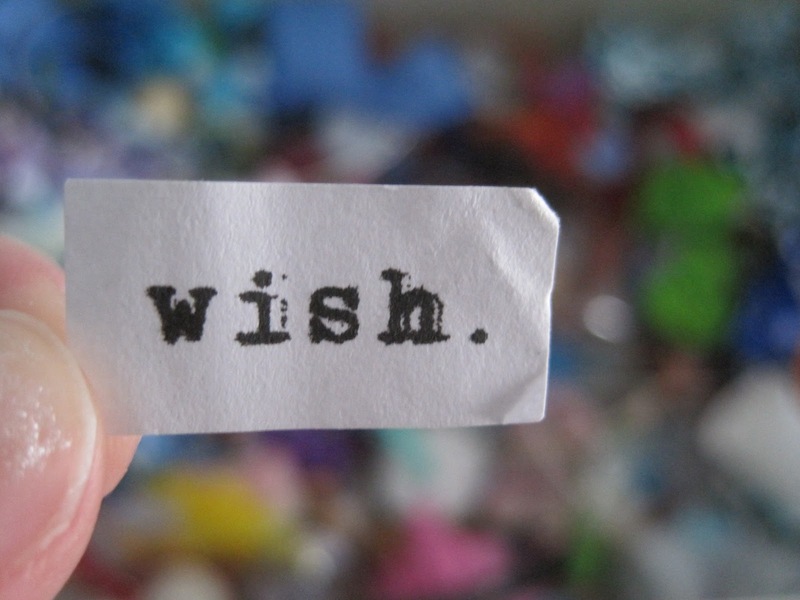 Just like the typed up wish on a piece of paper, figurative wishes easily get lost. Life can look like a page in an I Spy book. In order to not get overwhelmed, we have to keep focused on what we're looking for. Life can seem like one big puzzle still unassembled in its box. We don't have the top of the box, showing us the big picture of what the finished product will look like. But thankfully, we have help. Piece by little piece God fits our wishes into the outlines he has made, at just the right time. We find peace by giving up control of the pieces.